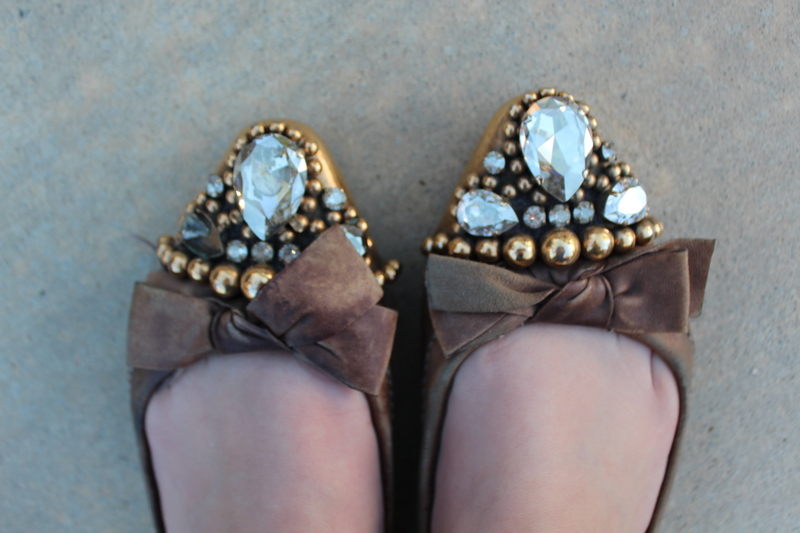 charming charlie | Just Jess Fashion! Call it a Spring Awakening if you will but yesterday, while sitting in my hair stylists’ chair and surfing through Google for images of Ashley Tisdale (ok, cat’s out of the bag she’s my second favorite blonde) I was inspired by a picture of her with darker locks and I decided to go a darker shade of blonde. After all was said and done (which by the way the process to go darker is soooo much easier than going lighter, no foils enough said) my blonde locks had mostly disappeared and were replaced with a very light shade of brown. This is actually a little closer to my natural color, and I’ve been wanting to do something different with my hair for awhile. I wasn’t going to let time be the only thing to change this week! For reasons unknown to me, after I get my hair done, I instantly want a new wardrobe to go with it. Unlike my usual shopping excursions which take me to boutiques, South Coast or Fashion Island, this shopping trip took me to the Temecula Promenade. I heard H&M was having a sale and I needed some replacement items from Mac so really it was like the fashion universe was all but screaming at me to go. Sadly the sale racks had already been picked over at H&M so I ventured over to Forever 21 where I always know I can find something that’s cute and affordable. While I did invest in a few pieces I did notice a trend occurring. 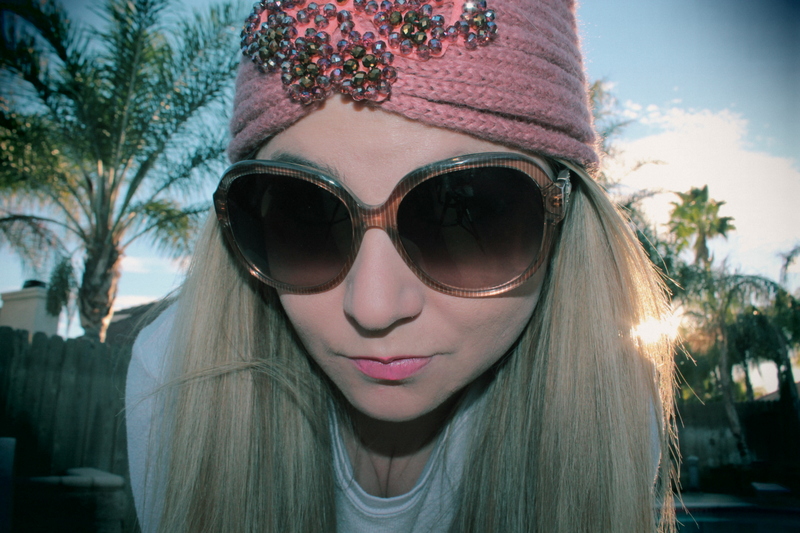 I not only went back to darker roots with my hair, but I went back to my all time favorite color, pink. 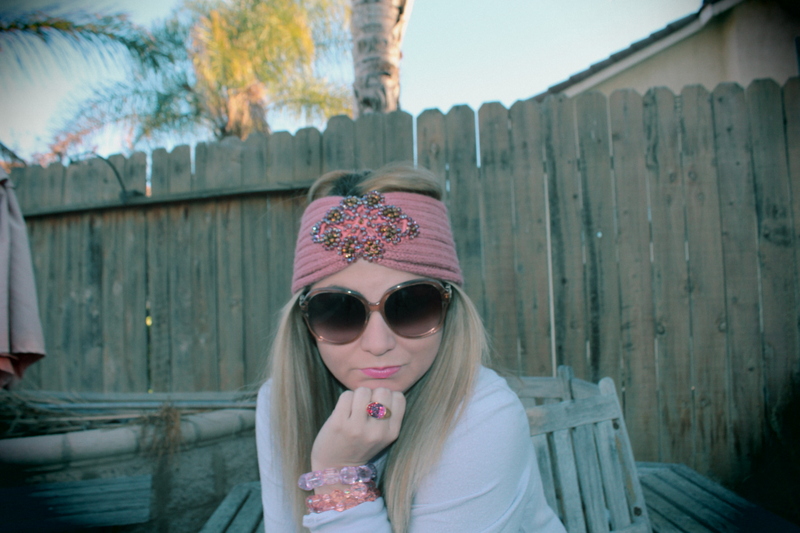 Yes, almost everything I bought yesterday screamed pink, sparkly and girly. Don’t get me wrong, I love every article that exists in my closet. But because of color restrictions at work black and white have taken over my closet. It was high time I put my signature color back where it belongs. 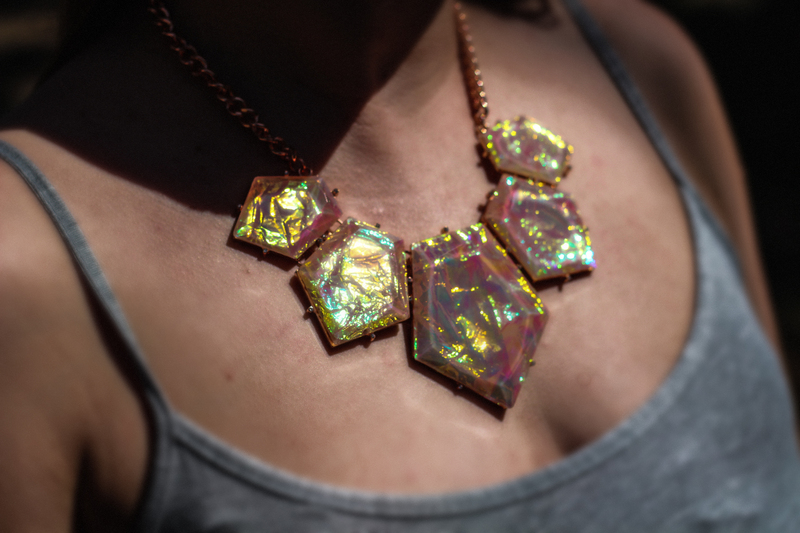 This necklace reminded me of the Little Mermaid, so naturally I had to get it. 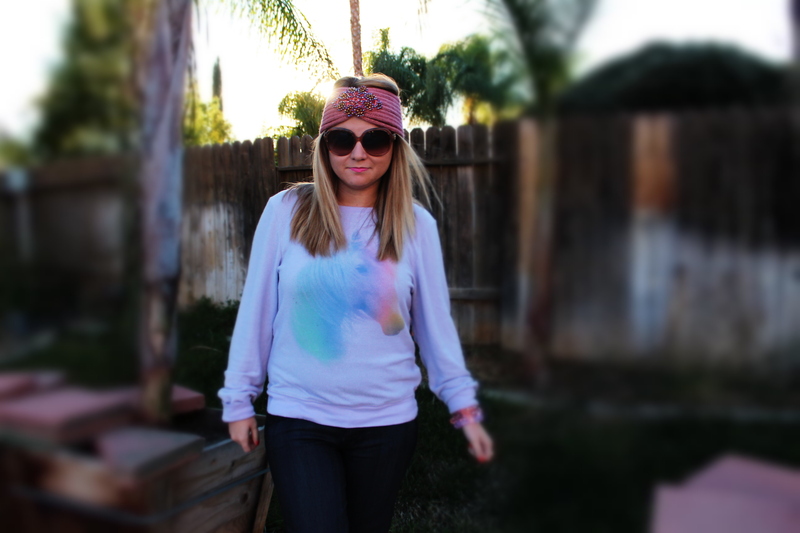 Not only are Wildfox sweaters super comfy, but they are so cute and girly too! Initially when this sweater caught my eye I thought it was a unicorn. 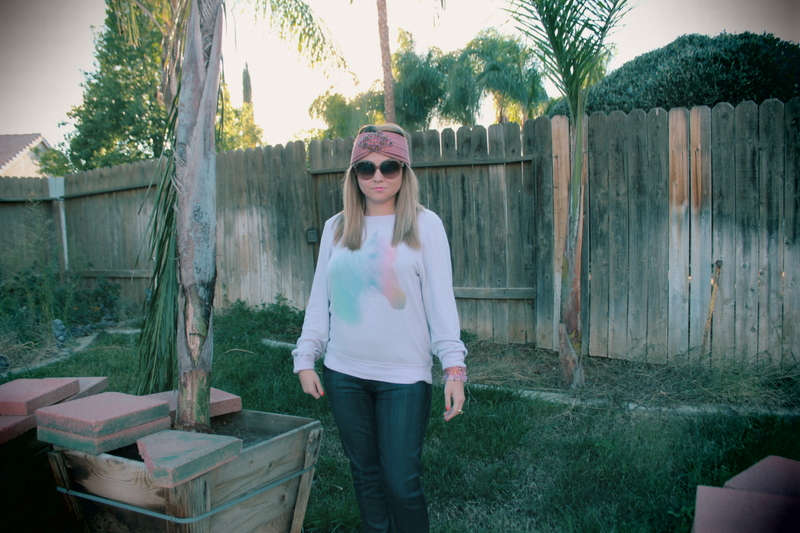 A purple unicorn sweater?! Yes please! But alas, it’s just a horse of many different colors. Still equally amazing, and still the perfect compromise for ridiculously cold winter days. Cute meet the cold! On the chilliest of days I’m thinking even an accenting colored collared shirt (say that 5 times fast) would not only compliment and add pizzaz to the piece but would also add warmth. That might perhaps be one of my greatest ideas, like ever. Pink bracelet, beaded by me. Purple bracelet by Tarina Tarantino. Ring a gift from my Aunt Jodi. 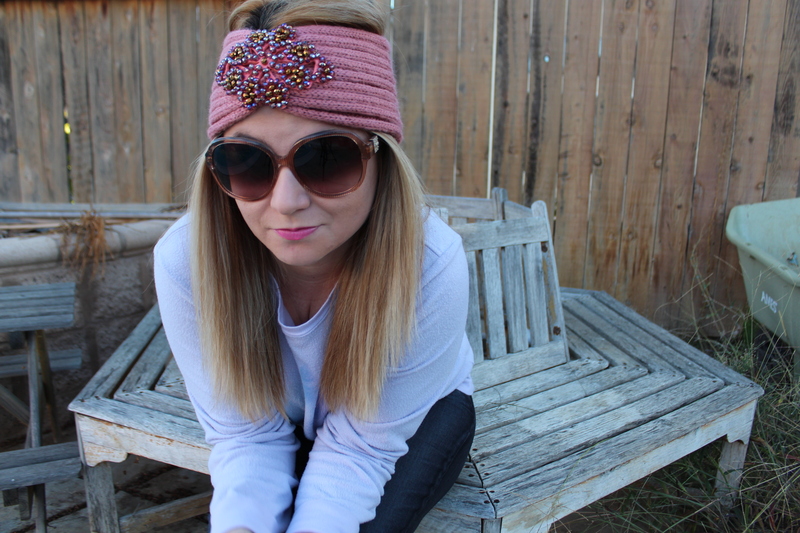 A sparkly pink headband?! This piece had me at sparkly, and committed at pink. Thank you Charming Charley! Many many years ago for Christmas my grandma got me and my sisters each a 4 ft tall jewelry box. At the time I only had Libby Lu jewelry pieces. She had also gotten us some really fine gold and silver pieces, but I’ve always been more into costume and statement pieces so regrettably those have never made it past the bottom drawer. Maybe one day I’ll develop a taste for the finer pieces the jewelry world has to offer, and God help my bank account when that day comes. Either way, I’m beyond grateful my Grandma thought ahead to this time in my life when I am now OBSESSED with jewelry! Needless to say I have always been a costume jewelry junky. I was talking to one of my friends yesterday who reminded me how excited I was the day I came home with my first large pave crystal encrusted Tarina Tarantino necklace. “God that thing was ugly” he exclaimed, but I till this day loved that piece and all my statement pieces! 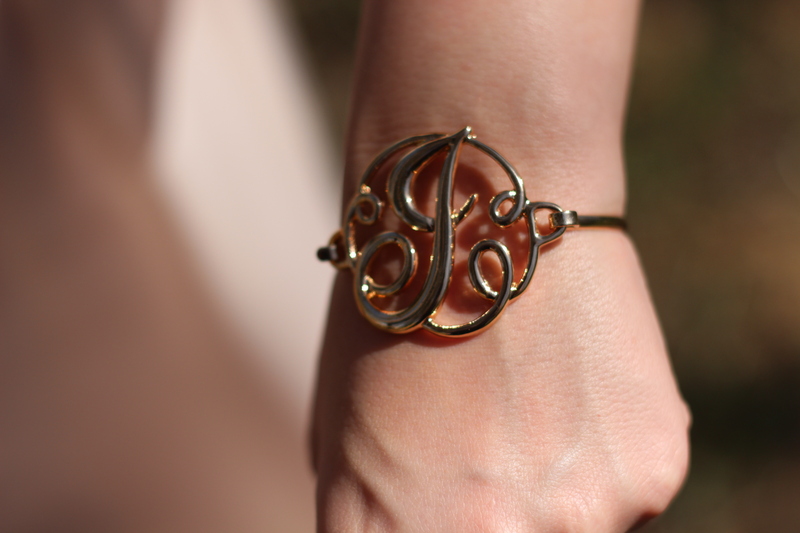 These past few weeks I have become hopelessly devoted to gold pieces. It all started with me realizing my jewelry collection lacked this color scheme, so I started with some gold bangles, then a simple gold ring then some necklaces and now I feel as though I can officially devote a whole drawer of my jewelry box to the color! And have sub categories too! Too any of my fellow OCD fashionistas you completely who completely understand this concept, I appreciate you’re passion for keeping the closet organized and I applaud you. Now, I can’t help but continue to add to my collection. Recently I’ve added this black enamel and more then likely rhodium plated Kenneth Jay Lane cross. 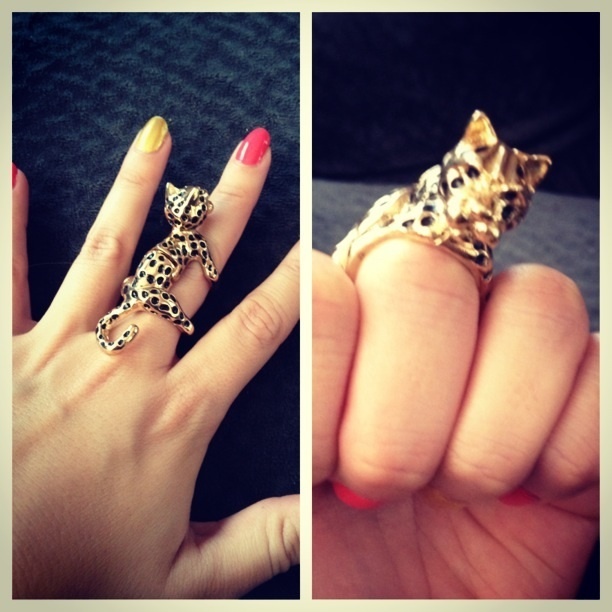 And to add more funk and spirit to any outfit I could not pass up on this amazing cheetah ring only $8 from one of my new favorite jewelry stops Charming Charlie. And of course, I have officially become that girl who wants to sing from the high heavens with Julie Andrews my love for my boyfriend. 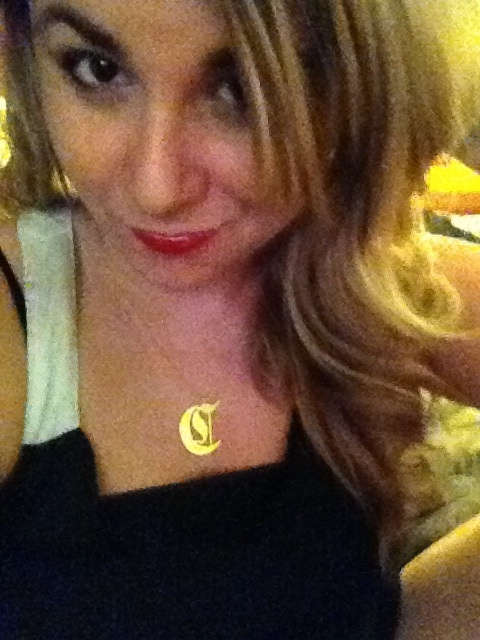 And since I am no where near the Swiss Alps, a gold initial necklace featuring my Boo’s initials will suffice. I figure this is a nice alternative to the infamous “I love my boyfriend” shirt. Perhaps it’s time I move on to silver. After all I just got a silver ring and some matching earrings, but no necklace to go with. Looks like this girl has to go on another shopping adventure!